I'll keep this short and sweet. 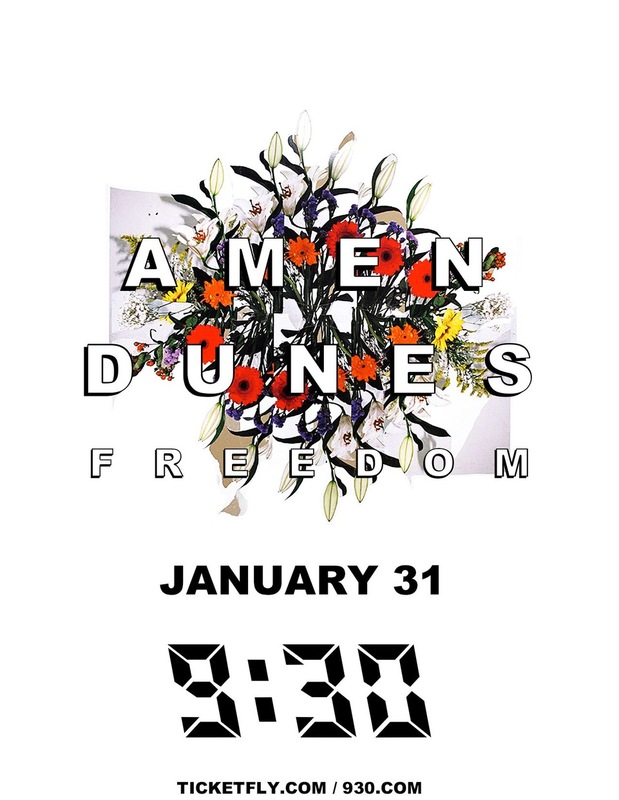 Damon McMahon's Amen Dunes put out one of the best records of 2018 (Freedom). He also toured with Fleet Foxes, which was kind of a big deal. Now, Amen Dunes is heading back out on the road, and one of the ports of call is here at our very own 9:30 Club. Obviously, this is a show you definitely do not want to miss. Luckily, I've got a pair of tickets to give away. To be entered to win this twosome of tickets, send me an email telling me how much you'd like to see Amen Dunes up close and in person. There are no wrong answers. NOT ONLY THAT, but in addition to the pair of tickets, you'll get a free Amen Dunes tee AND a signed record. Yes, friends, you want in on this for sure. If you don't want to chance it, get your tickets here before the show sells out. FINE PRINT: Contest is for two (2) tickets to this here show. Contest closes at noon Eastern on TUESDAY, 1/29/19. Good luck!